There are several tracks to discover between Portway and the Downs. There are five different routes – and the better known zig-zag path. The top and bottom of each route will be marked with flourescent banners. The paths are all, inevitably, quite steep. You will need strong shoes – and be prepared for rough surfaces and steps, some of which are un-even. 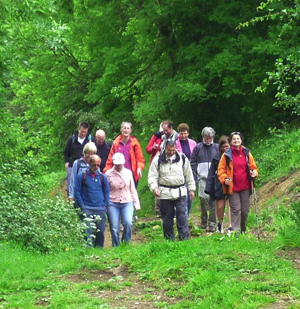 As a reward, you will have a delightful woodland walk, with fantastic views. The starting points along Portway are shown on the site map, and will be marked with fluorescent flags, as will the starting points on the Downs.